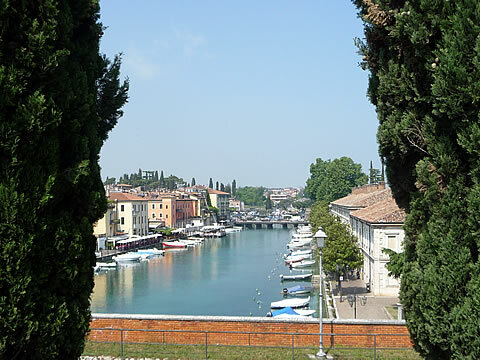 The picturesque canal lined with restaurants viewed from the fortification walls. 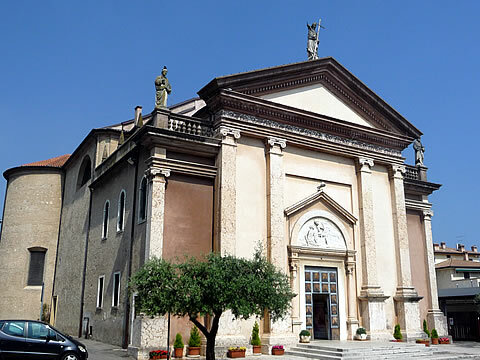 The parish church of Peschiera was on the site of an ancient place of worship and rebuilt in the early 19th century after being used as a military hospital by the French. 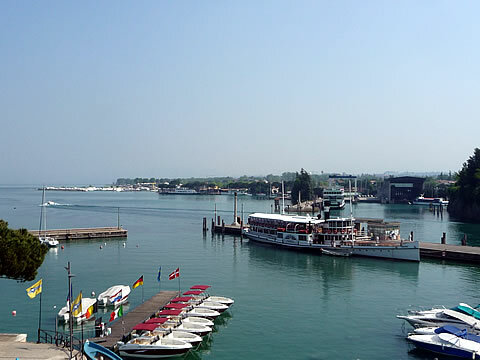 The harbour where the Lake Garda ferry service stop is located. 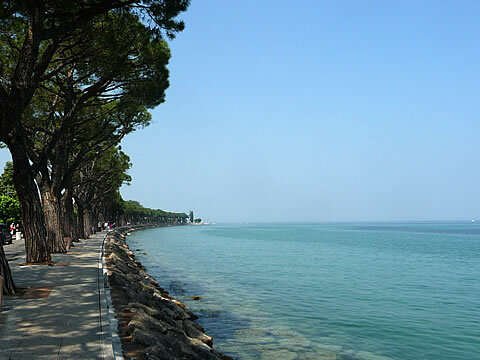 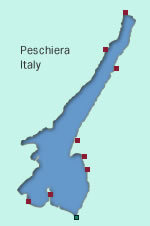 A popular walkway west from Peschiera along the lake shore leads to beaches and two small harbours at Fornaci. 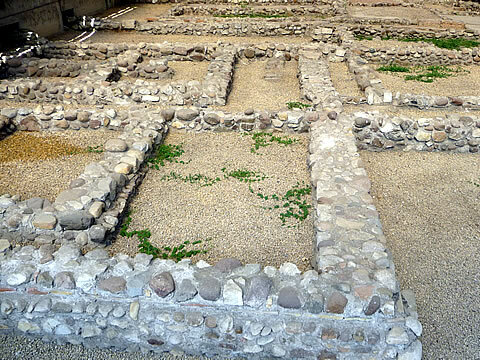 Some of the excavated Roman ruins can be seen in the old town near the parish church. 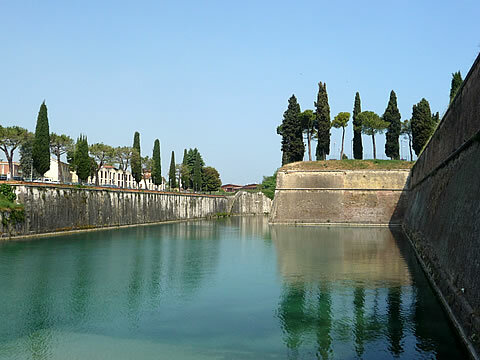 A good view of the thick walls of the fortress and the moat that helped to protect them.